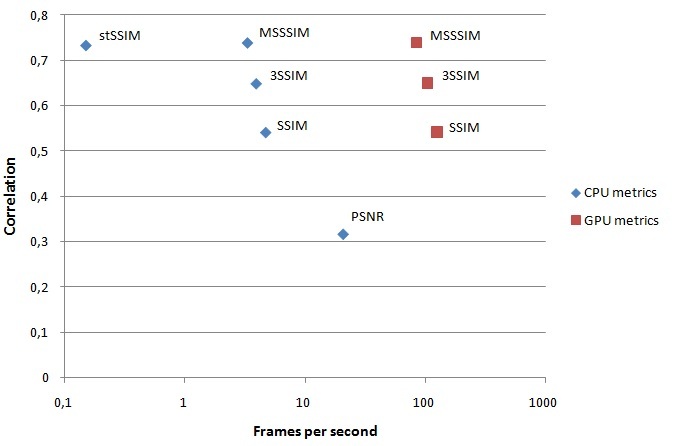 Now SSIM-based algorithms show best subjective quality correlation among other video quality algorithms. 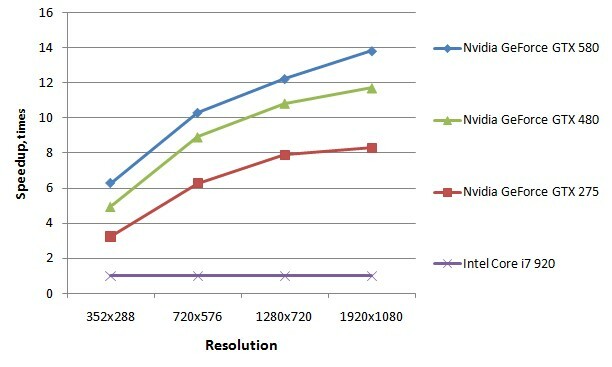 To increase performance of SSIM-based metrics, these algorithms was implemented on graphics hardware. 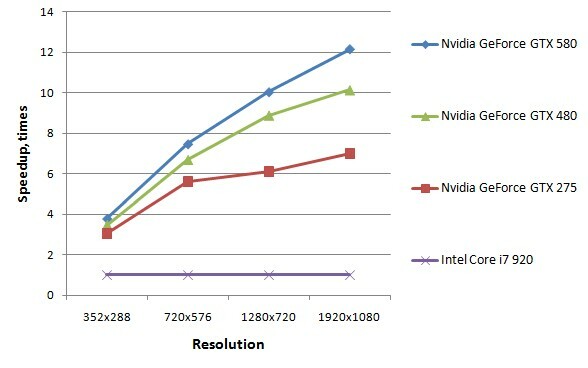 For implementations CUDA technology was used. 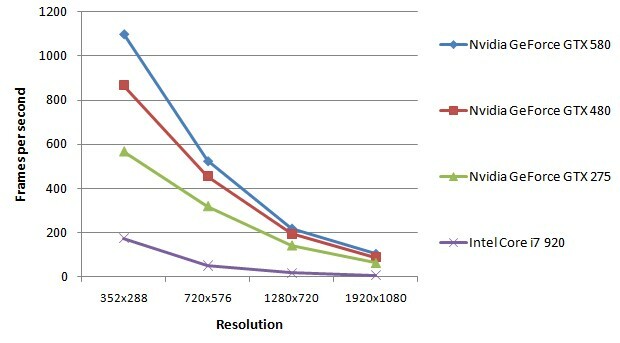 SSIM, 3-SSIM, and MS-SSIM metrics implemented for now. 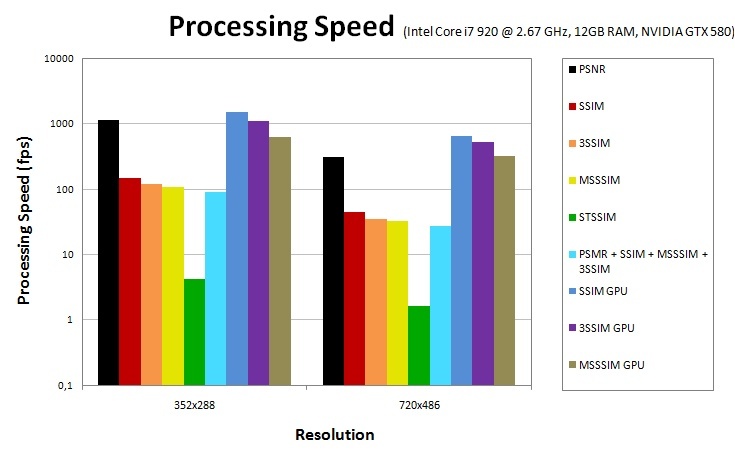 Our CPU Implementation of the metrics above are using Intel IPP. 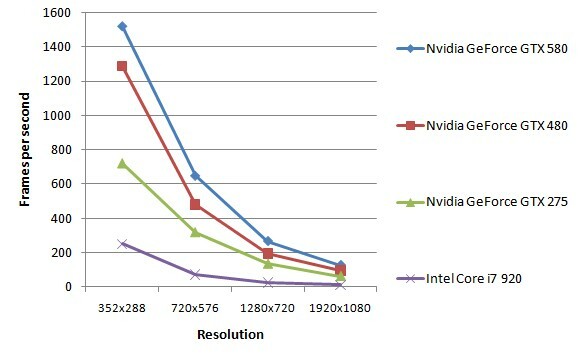 We don’t know precision and operations order of these algorithm in the IPP, so metric values for GPU implementations can slightly differ from the CPU. 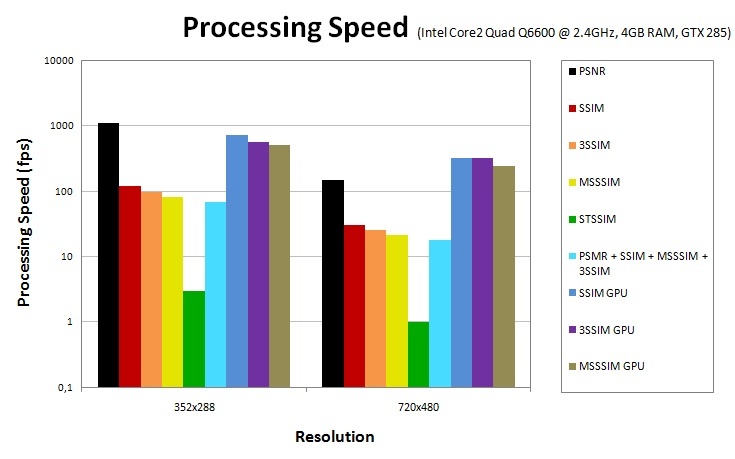 These implementations can be found in the metric list in the GUI or via -metr ssim_cuda, 3ssim_cuda, msssim_cuda parameters via console line interface. Measurements of large files can take a very long time. 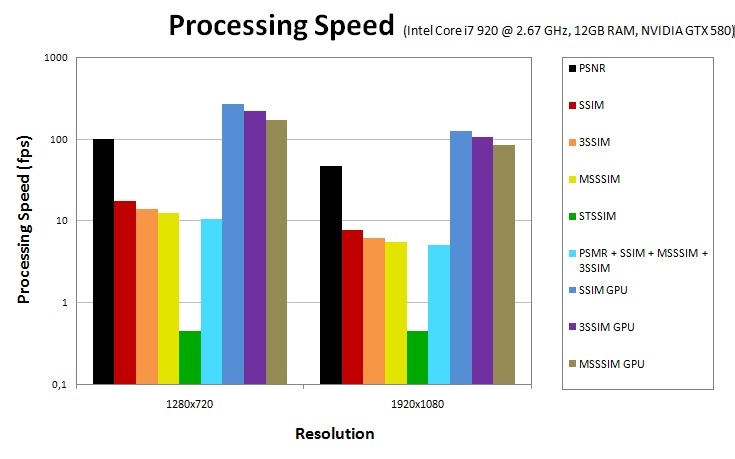 We are always trying to maximize speed of metric implementations using features like multi-threading, SSE\MMX optimizations, high-performance libraries, GPU acceleration. 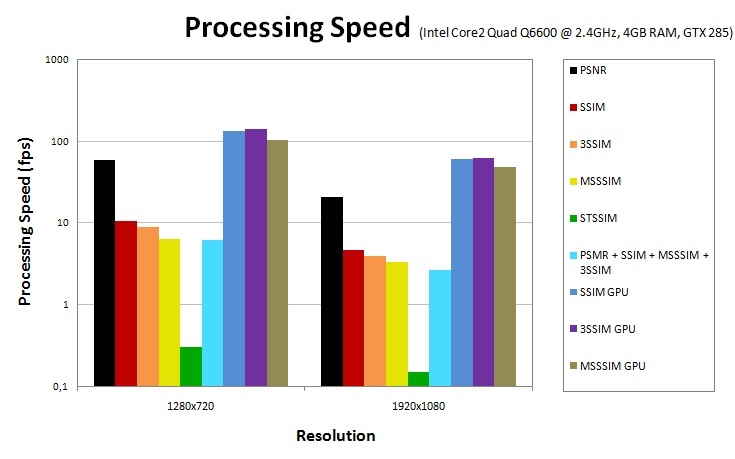 In example, using console interface it is able compute four most popular metrics (PSNR, SSIM, 3-SSIM, MS-SSIM) in almost the same time as the slowest of them. We are also providing Speed/Correlation plot, which is allows user to understand difference between metrics. 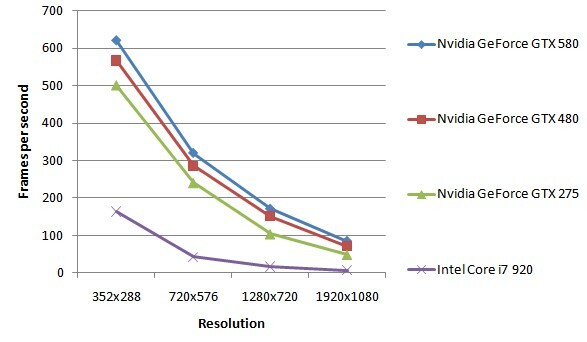 Information about subjective quality you can find here. 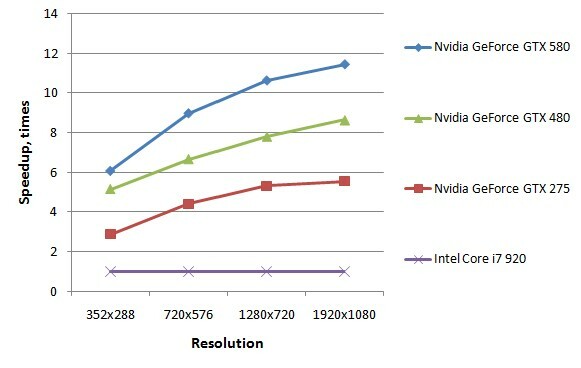 Data provided for 1080p resolution and following configuration: Intel Core i7 920 @ 2.67 GHz, 12GB RAM, NVIDIA GTX 580.